ATLANTA (October 4, 2007) — Small changes in the diet may help prevent excessive weight gain among children. A recent study indicates small changes, such as eliminating 100 calories a day from the diet and adding 2,000 steps of physical activity, may help children lose or maintain weight. The study was published in the October 2007 issue of Pediatrics. Dr. James O. Hill, of the University of Colorado Health Sciences Center, and colleagues evaluated the effectiveness of the America on the Move Foundation’s, “Families on the Move Program,” created to combat rising childhood obesity rates. The families following the “Families on the Move” program were asked to cut 100 calories a day using products such as Splenda brand sweetener (which contains sucralose) and add an extra 2,000 steps. Researchers examined more than 200 families, all of which had at least one overweight child, between the ages of 7 and 14 years. One hundred eleven families followed the “Families on the Move Program” while 95 of the families self-monitored their usual calorie and activity levels. After six months, researchers found that 43 of the children following the “Families on the Move Program” lost or maintained weight. Half of the children asked to self-monitor reported increases in their body mass index (BMI). “I think a small change approach is the only way we’re going to get a handle on childhood obesity,” Hill said. Cutting 100 calories from the diet can be done by replacing a full-calorie soda with diet soda, and encouraging children to consume light products such as light yogurt, light lemonade and light orange juice. In order to add 2,000 steps per day, researchers suggest encouraging children to ride bikes and walk to destinations, as well as play outside. According to the American Obesity Association, more than 45 percent of children are overweight or obese. Although obesity experts have long cited a diet high in calories and fat and decreased physical activity as two factors of childhood obesity, there has been a lack of strategies developed to help combat these issues. Small changes such as cutting 100 calories and adding 2,000 steps per day may help combat the childhood obesity crisis, researchers note. 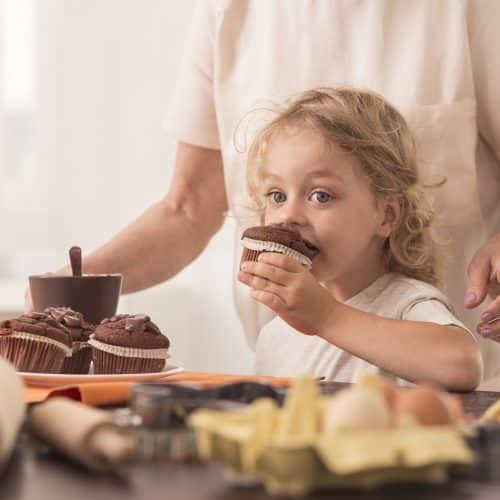 “A lifestyle approach incorporating light products, such as foods and beverages containing sucralose, and adding physical activity, can help children lose or maintain their weight without drastic changes,” said Beth Hubrich, a registered dietitian and Executive Director of the Calorie Control Council. Visit www.sucralose.org for more information on Splenda (sucralose).